I soldiered through yet another installment of the Golden Globes this Sunday. Three mundane hours of watching white people rub elbows, drink Moet, chuckle, and get awards will make you start questioning things. What were they all talking about between presenters? Why is Kevin Bacon’s daughter on stage? How do they expect these rich people in their priceless gowns to squeeze through these giant ornate tables? Oh, and where the heck are all the people of color? Black folks had an amazing year with 42, The Butler, 12 Years A Slave, Black Nativity, The Best Man 2, and Mandela: Long Walk to Freedom. But, watching the droves and droves of white folks on stage at the Globes, you’d have no idea anyone of any other hue even lived within a 100 mile radius of Hollywood. So, the only question remaining is: Why do we (black people) continue to watch the show at all? Maybe we just like the pain of remembering how infrequently we are rewarded in proportion for our contributions and abilities. Maybe we just wanted to make sure we would have something to talk to people about at work the next day. Or, maybe we figured we’d see something new, innovative, exciting…yeah, probably not. I honestly watch these awards shows because I feel I have a duty to my readers to do so. And, while live tweeting, I often find myself burdened by that duty. Someone actually lightweight chastised me on social media for tweeting about the show I “claimed” I “care so little about.” They accused me of being inauthentic for watching it and complaining the entire time. I guess, by using some type of sideways logic, one could deduce that my watching the Golden Globes – and taking the time to tweet about it – means that I not only care but I care a lot. I have another theory about that. In this culture, I think nonwhites are required to sit through a lot of things they don’t necessarily enjoy or really care about because of its inherent American-ness. For the sake of being “normal,” we watch other “normal” people on TV. Is it really our faults that all these “normal” people also happen to be white? Since television, radio, print media, and web content is obsessed with the Golden Globes, we all become a bit invested. We may not care on a personal level (which is what I meant) but we care about how our media represents us. We each want to know that an industry we have no choice but to patronize takes our talented acting brothers and sisters seriously. To a certain extent, it is less about caring or being cared for and more about validation. I watched the Golden Globes because I hoped that the same disservice often dealt to blacks in public spaces wouldn’t be upheld on such a grand stage. I wanted to see Chiwetel Ejiofor or Lupita Nyong’o or Don Cheadle or Idris Elba or Kerry Washington saunter up and give a “Thank You” speech. 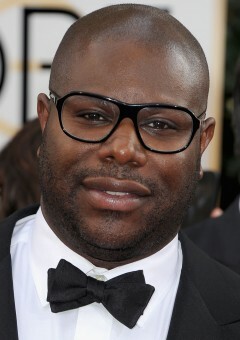 The only prominent black figure accepting an award on Sunday was Steve McQueen for Best Film. None of his cast won. But, he at least got recognized. So, yay…I guess. Sunday’s Golden Globes were the epitome of why writer Olivia Cole is “not here for #WhiteGirlsRock.” The messages sent that night were not directed at a black audience. It was “For us by us” but for the quintessential girl next door. They say that insanity is doing something over and over again and expecting a different result. So, I guess all of us non-mainstream folks are as crazy as it gets. The Golden Globes likely aren’t changing any time soon. All that’s left to change is our perspective. Did you watch the Golden Globes? How do you feel about the level of diversity? January 14, 2014 2014 Golden Globes: Turn UP!